Samsung Galaxy A50 vs Vivo V15 vs Oppo F11 Pro: Which is the best P18K phone? Php18k seems to be the sweetest spot for consumers looking to get a premium yet affordable smartphone. At that price, you have the options to get the Samsung Galaxy A50, Vivo V15, or Oppo F11 Pro. But which is the best one for you? Read: Vivo V15 Pro Review – Best Midrange phone in 2019? 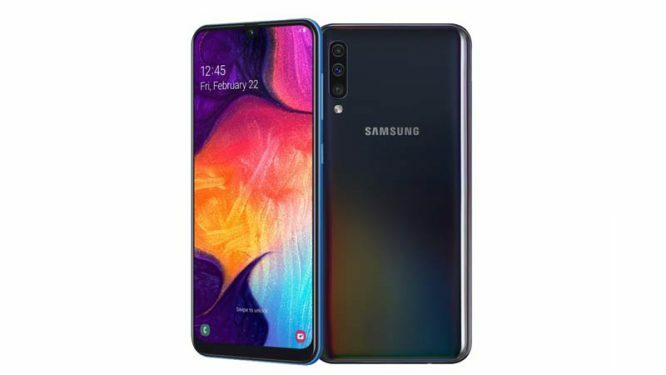 With the Samsung Galaxy A50, you’re getting the best display (Super AMOLED) and best software experience (One UI) out of the three. The Exynos 9610 chipset is a performer; going neck and neck with the Helio P70. However, it does lack dedicated NPU. The triple main camera is robust with support for ultrawide and depth sensing. In this comparison, its main 25MP sensor could be the best in low-light photos thanks to larger f/1.7 aperture. The Galaxy A50 is the only one with USB Type-C port and an in-screen fingerprint scanner. As futuristic as the latter feature is, it’s still not on par with capacitive types. As for the Vivo V15, it’s the most feature-packed among the three. It features a full-screen display with Corning Gorilla Glass 5, triple camera setup, and motorized selfie camera; the largest of the bunch at 32MP. The only potential downside is its micro USB port. 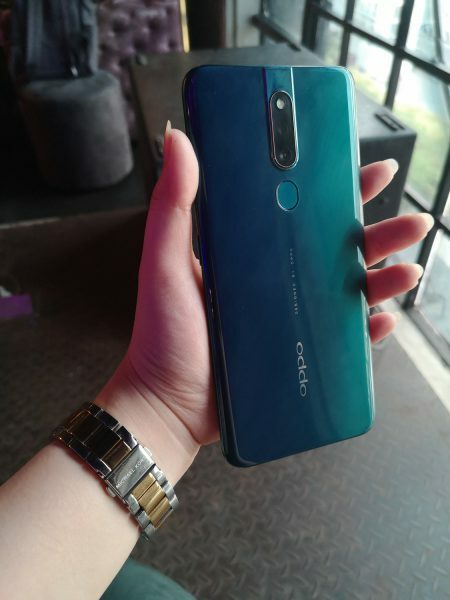 Although it supports fast charging, it’s still slower compared to a USB Type-C.
Last but not least, the Oppo F11 Pro. Compared to the first two devices, this phone caters to a specific niche. Packing the same hardware as the V15, the F11 Pro goes for a dual main camera setup instead; featuring a 48MP main sensor for great-detail quality and a 5MP depth sensing. While it does come with a motorized selfie camera to pave way for full-screen display, it only packs a 16MP sensor. Where it really stands out, however, is the fast charging VOOC 3.0 (20W). At Php18k, the Samsung Galaxy A50 slips by the two; making it the winner in this comparison. Despite the existence of the notch, it’s worth the compromise when you get a Super AMOLED display, USB Type-C, One UI, and relatively light phone. If Samsung isn’t your bread and butter, the Vivo V15 comes second. Why? Despite the 48MP sensor and 20W VOOC charging of F11 Pro, the V15 just feels like a better overall package. If you don’t agree with our conclusion, feel free to share your thoughts in the comment section.